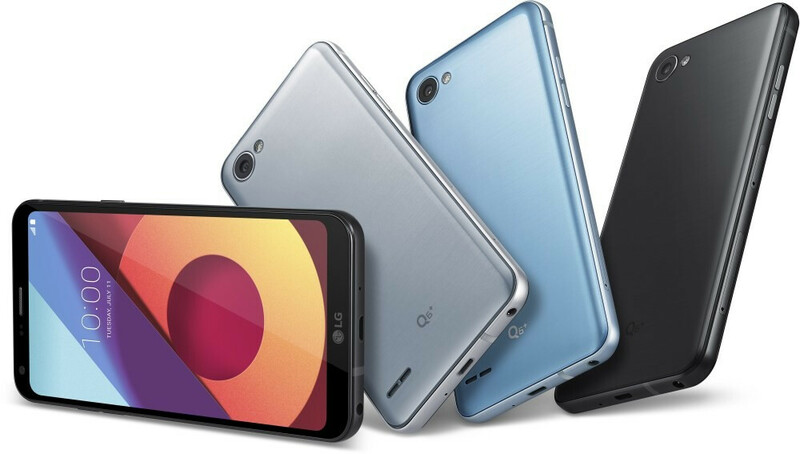 LG just announced the Q-lineup of devices, featuring the Q6, the Q6+, and the Q6a, which takes a few pages from the LG G6' book and borrows that FullVision 2:1 display that LG is quite proud of. Granted, the efficient screen-to-body size ratio, the slim bezels, and the lack of a camera bump at the rear of the device could very well be the biggest highlights of the Q6 lineup, as the rest of the hardware specs are not exactly what we'd call exciting and awe-inspiring. On top of that, the lack of fingerprint scanners on any of these devices is a let-down, but LG has been kind enough to throw facial recognition to alleviate the pain. We'll explore the specs in a jiffy, but before that, let's try to think of two other phones that could easily be the main rivals of the LG Q6. Although it's debatable, we'd put the 2017 iteration of the Galaxy A5 and the Nokia 6 as some note-worthy and "hot" devices that the Q6 will be competing against. So, here's a specs comparison between these three! I'm in the doubt between buying the Nokia 6 and the Galaxy J5 (2017), can anyone advise me in this? If you want fast updates and near-stock Android, go with Nokia 6.
i suggest redmi note 4 is better choice than both of these phones and you should know that the J series lacks gyroscope (and maybe more) so never ever buy a sammy budget ranger atleast For the nokia 6 with sd430 i want to point out that it retails even more than the redmi note 4 which has sd625 and ive been using it as a secondary phone for about a couple of months and im completely satisfied with note 4's performance. But in the end its your choice and preference. Kudos! whats the point to call it + or a? if the specs are the same. i thought the specs are different? The specs aren't the same. RAM and storage change. I'd definitely go for the A5. Yeah, even im waiting for the Note 5!